Link building has always been an important part of automotive SEO, but it has perhaps never gotten as much hype as it is getting now. It gets even more attention than keywords and meta data. And while some people will continue to argue that link building is not and will never be as important as other ranking factors for your dealership’s website, it’s difficult to ignore that fact that Google lists “link building” among its ranking factors for dealerships and that it seems to be given more and more weight as the algorithm is updated and updated and updated. Search engines use links on websites outside of your own to determine how trustworthy and valuable your webpage is. Think of a link on another website back to your own as a stamp of approval. The higher the ranking of the website that is hosting your link, the most weight that stamp of approval is given. If lots of sites link back to you, lending your credibility or authority, the more valuable your website is going to look and the higher it will rank. You need those links in order to rank. Even with excellent keywords, high quality content, and a great website design, you won’t rank as highly as you need or want to if you do not have great backlinks, too. It’s important to note that link building has changed over the years. When it was first introduced, the basic strategy was simply to accrue as many links as possible, as quickly as possible. Now, it is far more important to build quality links on websites with authority and credibility, so you can use some of the credibility and authority for yourself. In the past, you could exchange links with other websites, could pay websites to include your link on their website, and much more. Today, if your links are not earned naturally, they are not going to do very much for you. In fact, they might even hurt your website. Despite knowing this, there are still many link building tactics that are lingering in 2016. Some “experts” may even tell you to engage in these practices. It sounds like a good deal, for both websites involved. They get their link on an exterior webpage, you get your link on their webpage. Now you both have a backlink, right? The problem is that search engines are wise to this game and they do not like it. Because it artificially inflates the perceived value of your website and the other website. Link exchange schemes have become very sophisticated, evolving into networks that help you find websites that will gladly put your link on a number of websites if you will put a few links on your own. Again, search engines know about these tactics and they will blacklist any and all websites involved. If you want a way for search engines to automatically mark your link as spam, make sure that all of your anchor text is stuffed with keywords. Your anchor text is the text that someone would click on in order to visit your webpage. For example, if you are optimizing for a keyword like “Kia car dealership in New Jersey,” and your anchor text is “The best Kia car dealership in New Jersey…” this is likely going to be marked as spam. What is a sneaky link? It is a link hidden in the text. In the old days, articles would simply stuff their content full of unrelated links, building up the link profile for many different websites in one single article. Today, they cannot do this as easily. Instead, those low quality link websites will hide your link in their content, hoping that someone will accidentally click on it and navigate themselves to the destination website. This just doesn’t work anymore and it is the hallmark of a very, very low quality website, one that is not going to give you very much juice if you are trying to rank well. 4. Putting your link in forum comments. Getting involved in relevant vehicle forums is a great idea. Posting just so you can include your link in the forum comments is not a good idea. This might originally sound like a great way to build links, and while you should include a link back to your dealership on your profile page, spamming threads with irrelevant links to your webpages is likely to get you banned by the forum and is going to do nothing for you in terms of automotive search engine optimization. Only include a link if you really believe that it would be valuable to the people reading it. 5. Trying to plot your link strategy. The best links for your website are going to be organic links. It means that you earn that link, fair and square, by having something interesting and relevant to say about the topic. Other websites will link to you because they find what you have to say to be useful for their own readers. 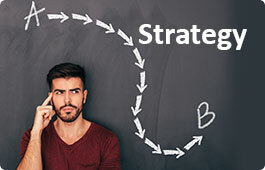 Trying to strategize your link strategy too much will ultimately leave you putting a lot of time and effort into something that is best when it just happens naturally.